I recently moved in to my latest apartment for school, and figured I would share my splashes of geekdom in my place of residence! The above picture is the wall above my desk. I really love photography and geek out over it so I made a gallery wall of art of my own and Ansel Adams and other cools stuff. It’s also all in black and white/sepia because I love that style of photography. I really love my bookshelf, because it’s my little space that really focuses on my geek loves. I have my books, including my favorites Looking for Alaska (yes there are two copies, because one is a signed copy I got after the first one), The Great Gatsby, and newest literary additions V for Vendetta and A Fangirl’s Guide to the Galaxy. 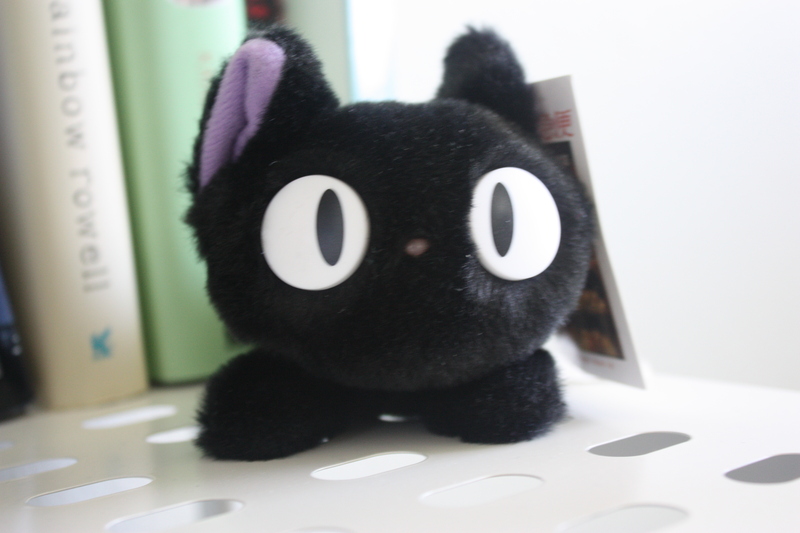 I have a stuffed Jiji from Kiki’s Delivery Service (Studio Ghibli). My brother has a stuffed Totoro so we bonded over our favorite Ghibli buds. 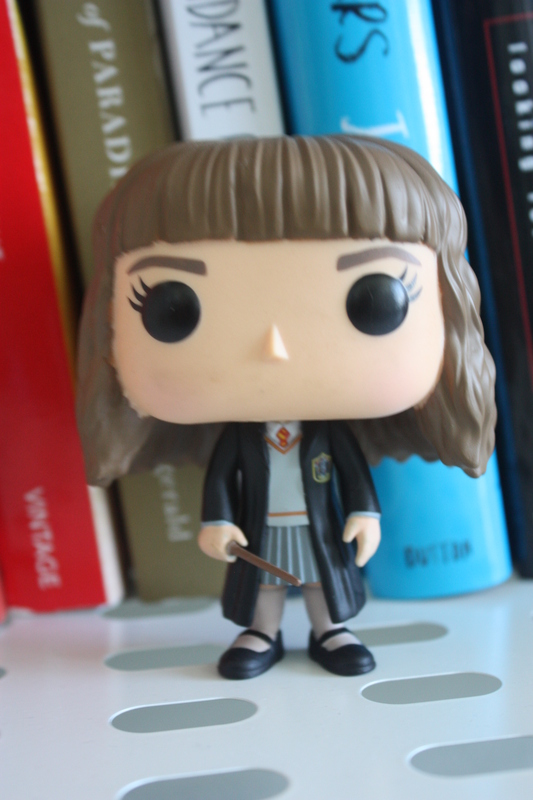 Seriously, Hermione is the only Pop figure that I really, really, really wanted. But now she’s opened the gateway to me getting all of the Harry Potter figures. I keep her on my bookshelf with Jiji. This is my random shelf of fun things. 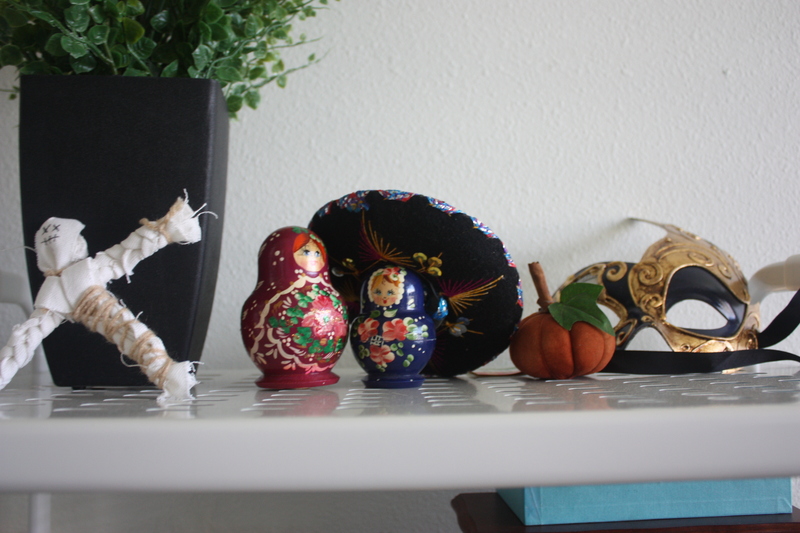 I have a voodoo doll from a haunted house, Matryoshka dolls I got in German, a tiny sombrero from Mexico, a pumpkin, and a mask made in Italy. It’s my fun shelf of good memories. 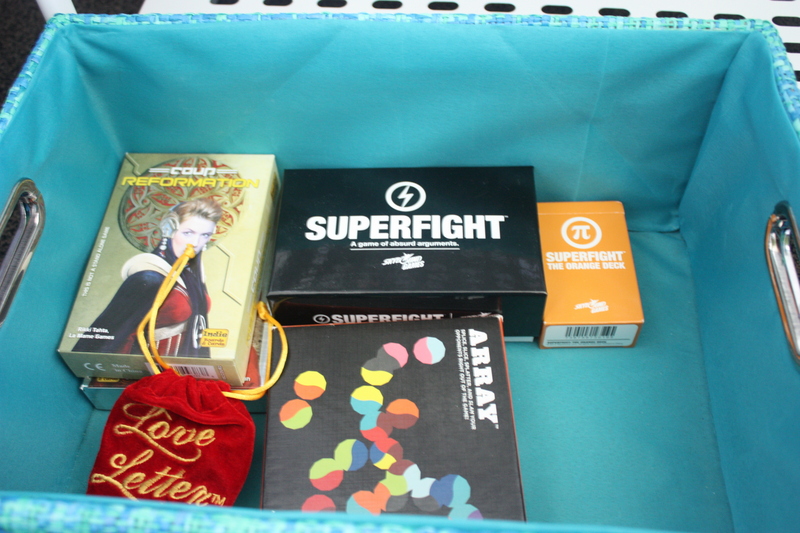 Last but not least is my game box with all of my board games. You can totally expect reviews and how-tos on these games in the future. I haven’t seen these games yet!! Definitely let us know! The HP Pops are new. July 31st they released! So cute! 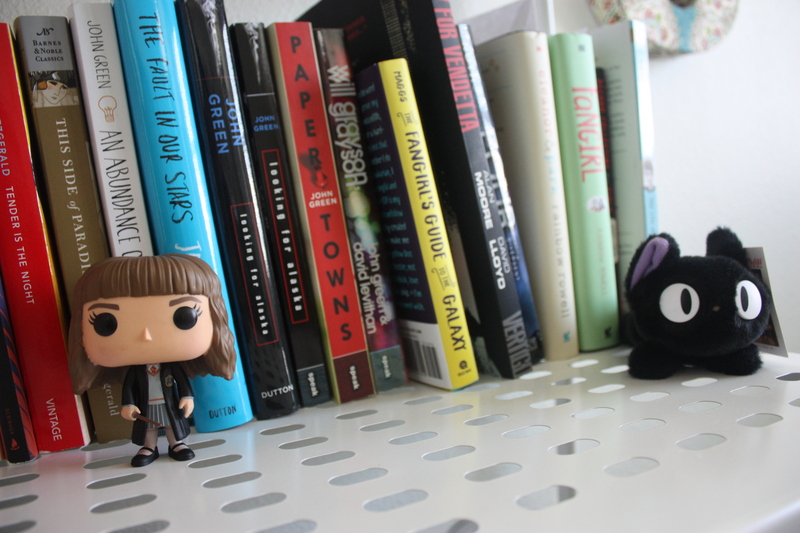 I have a Disgust Pop and a King Bob Pop on my bookshelf here at school. My boyfriend got me them over the summer. He collects them! Ansel Adams! Love his stuff and how your apartment has come together! I wish I had decorated my school apartments! This makes it so cute and homey! I love the tiny sombrero! Ansel Adams is amazing and I adore his work.